So, how much does it cost to build a Tiny House? It depends. The only way to see more of the jigsaw before the event is doing research and comparing with similar projects. As any quick glance online will show, the houses are about as varied as those building them – hand-crafted works of wonder, to hobbit holes for humans, and everything in between. A small, or even ‘Tiny House’, can be almost as expensive as a standard-sized house, or indeed only a small fraction of the costs. 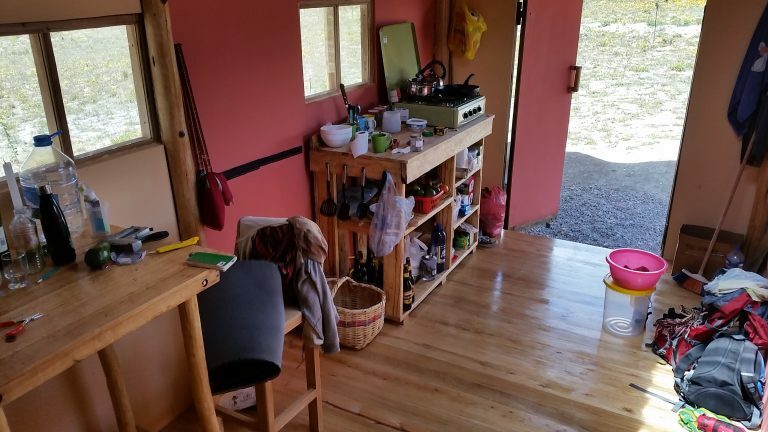 The Tiny House movement is centered around building consciously smaller, often environmentally friendly houses that closely and efficiently fit the needs of their occupants. This can then free up life’s resources in other areas. The house we have built here in Ecuador fits that description for two people. We started the project in mid-September 2016 with the purchase of the truck. We are at the end of building this phase of the house with most of the costs now accounted for, so I can give a pretty detailed breakdown on where that money went. 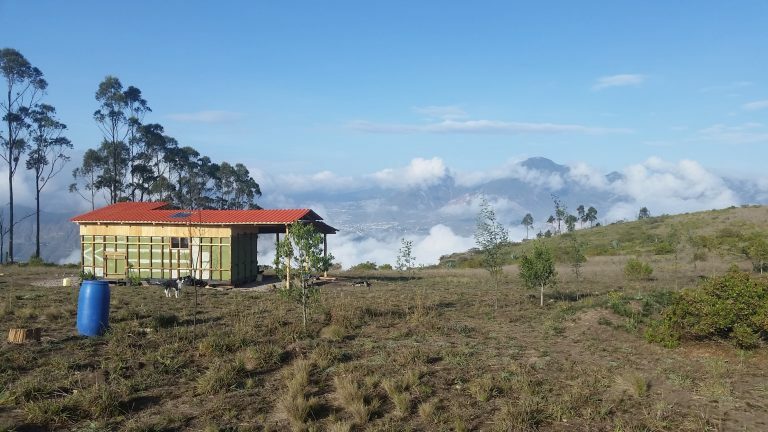 We constructed the house in the Ecuadorian Andes a bit over an hour’s drive from the capital, Quito. It took five and a half months, with local hired help for about 5 weeks. Currency is the US Dollar. 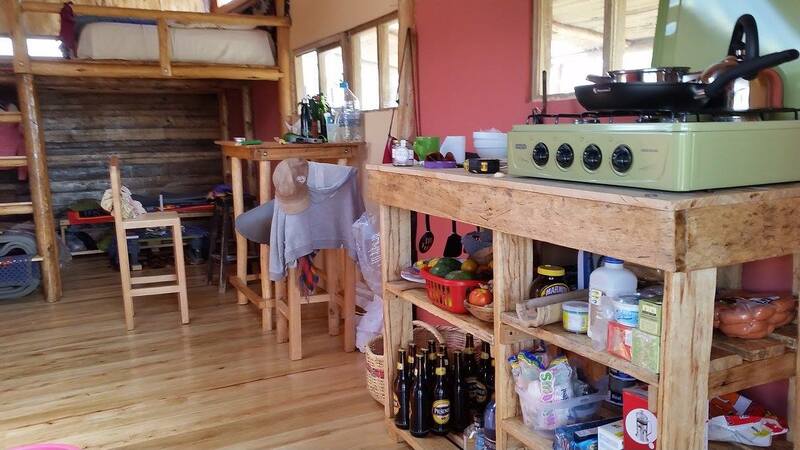 Throughout the project had no electricity apart from a generator we bought, we had running water from the connection we purchased, and at the very end, a gas cooking facility. Interestingly certain items here (power tools, general hardware, electronics) are significantly more expensive than they are in Europe. This is due to the high import taxes charged in Ecuador on such items. I believe wood costs to be lower than the equivalent in most places in Europe, certainly compared to my references in Ireland. Second hand wood was not something we had the chance to source extensively (due to time constraints), and although there may not be the same availability of it as there would be at home, it can still be found. 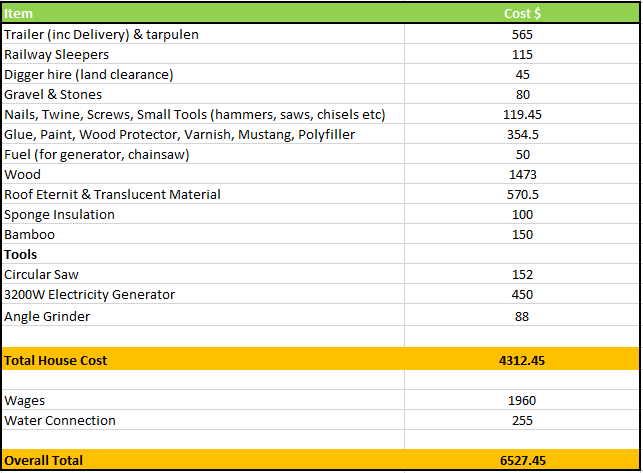 Overall in buying the wood and tools needed, costs probably balanced out somewhat between Ecuador and Europe. Petrol and gas are much cheaper here than in Europe, about ¼ the price. Transport for the delivery of certain items, and going shopping for same was also much cheaper. We used some wonderful local help for circa 5 weeks. It would not have been possible to get the house completed in the space of time (5.5 months) without this help. A genuine thanks my co-conspirator for all her help, ideas, and attitude when they were really needed. I must thank my dad for giving me the proverbial kick up the backside to realise the project needed to be sped up. Without him, I may never have hired some help and probably wouldn’t have managed to finish it. We were also fortunate to have great neighbours whom we could lean on for tools, toilet facilities, shelter, and other assistance, especially in the early days. The house would not have been able to be completed without these ingredients. We had to leave Ecuador to return to Ireland at the end of the project. A friend is currently living there, and we are back in Ireland. We got to live in it for about two and a half weeks at the end. And the reason for that is another story. We’ll be back. The costs below include our sophisticated toilet™ system. Like it? Send me an email and we can talk prices. Bulk discounts! We also had about $100 worth of spare wood left over, which we hope our neighbours will make good use of. It is easy to underestimate the amount of work that is involved in building even a small house like ours. As it turned out, 5.5 months wasn’t quite enough for us to complete the project by ourselves. My dad warned me and was in fact, right. Do not underestimate the amount of time needed to go shopping for materials, tools, and small items such as screws, glue, wood protector etc. I would certainly have purchased much more of these in advance. In the end this comes down to planning; of which we didn’t do very much. Get help if you need it. Seeing regular and continual progress is very important, especially in a time-constrained project. We mainly used eucalyptus wood because it is plentiful here, cheap, hardwearing, and very strong. The downside is that it is a very hard wood and requires a lot of work to shape and cut, even with power tools. Choose the primary wood for the house carefully. In addition we used a lot of circular eucalyptus beams. Circular beams require significantly more work to fit together than squared wood. The house was completed, but I left with ten times as many ideas for additional features/mini-projects and even a plan for another house. When in doubt, ask a local. Very inspirational James. Well done. Thanks Steven! Hope you guys are keeping well. Thanks Joan, I appreciate it. We have to figure out the next steps I’m sure but it was a great experience to do it. Where to go from here is a bit unknown but we’ll have to embrace it. Hey James! Dude, that turned out amazing. I’m super happy for you and impressed with your ability to utilize resources. I’d love to chat sometime about tiny homes – Lydia and I are planning on building one on a trailer. Nice post. Keep us updated on more tiny house life! Hey Pete, thanks. You can see a few more posts about the house on the blog listings along with some more detail/pics on how we built the house. I have some pics on my Facebook page if you fancy. Let’s have a Skype chat sometime this week perhaps – would be great to say hello again & hear about ye’re big cycling trip too! Fair play jimmy, sounds class! Can you please send me more pictures or plans? 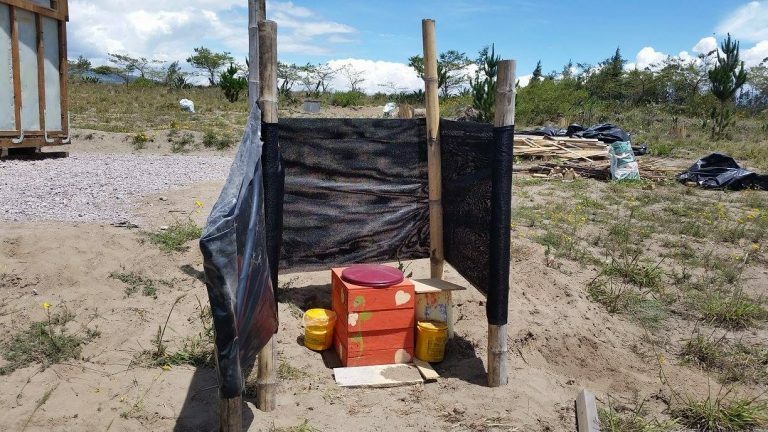 I am planning to build in a similar place in Colombia? Happy to talk further if you need, let me know and we can swap contact details. All the best with your project! Well done, James. Best of all, I’m happy you chose to build it near me!